For a non-invasive treatment that can add shades of brilliance to your smile, Sisko Dentistry offers professional teeth whitening. 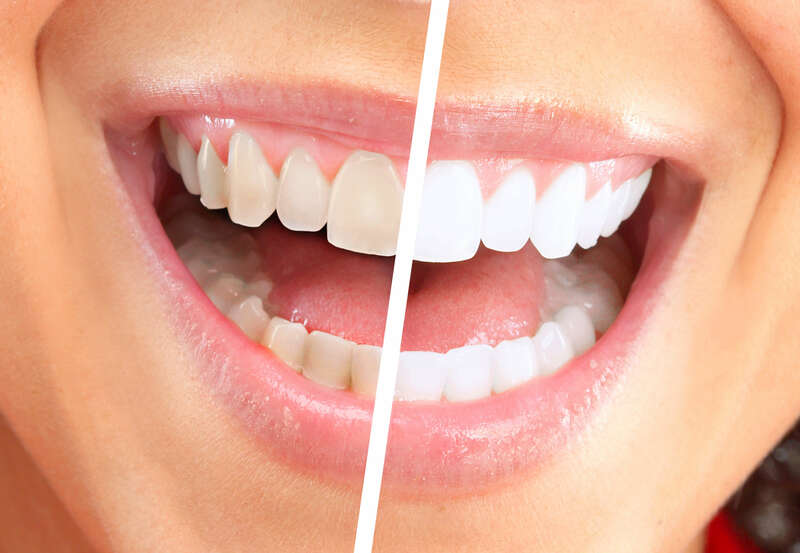 Whether seeking to regain natural coloration or augment the tone of their dentition, Tallmadge dentist, Dr. Gerald Sisko, offers teeth whitening tailored to help patients reach their aesthetic goals. While effective, teeth whitening is not a permanent solution. To keep your teeth bright, Dr. Gerald Sisko will work with you to provide regular maintenance. It is also important to note that teeth whitening will not change the color of restorations such as fillings or crowns. Dr. Gerald Sisko may recommend replacing these to give a more consistent, natural appearance to your smile. Our goal is to create the look of a naturally white smile. One of the more popular options offered by Sisko Dentistry are take home systems, personalized treatments that produce noticeable results. A key to the success of any teeth whitening system is the professional grade whitening agents used. To take full advantage of this powerful, yet non-abrasive solution, patients are provided with custom-fit whitening trays that securely hold the whitening agent against their teeth. Starting with your first visit, Dr. Gerald Sisko will take impressions of your teeth in order to manufacture customized whitening trays that enable precise whitening solution application. Once the custom trays have been created, patients will return to our Tallmadge practice for the treatment. After this hour-long treatment, patients go home with a noticeably whiter smile. Whether as a supplement to the in-office service or as the sole recommendation, Dr. Gerald Sisko will provide you with proper care instructions for safe and effective at-home whitening. We also encourage regular follow-up visits at our Tallmadge office to monitor progress as well as to assist with any issues that arise during treatment. The amount of time you will wear your tray at home depends on the degree of discoloration and your unique smile goals. This ranges from twice daily wear for 30 minutes to wearing the trays overnight for a period of a few weeks. Some sensitivity is normal after whitening and should subside gradually afterwards. Contact Sisko Dentistry immediately if the sensation does not diminish over time. The path to a brighter smile can begin with a consultation visit. Contact our Tallmadge, OH dental office today to schedule your first visit.